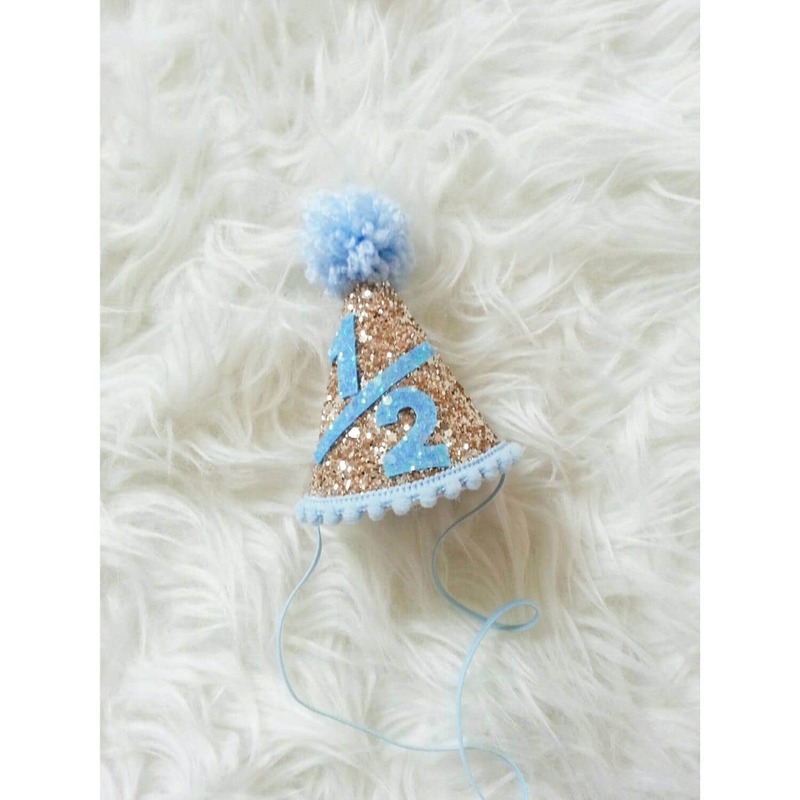 Shown in Pale Metallic gold with a pastel summer sky blue 1/2 accented with baby blue pom and trim. So adorable! Fast shipping and made a matching one for my twin, seriously perfect!! Absolutely love this! Can't wait for his photo shoot in it! Love, love, love this!!!! Cutest thing ever!!!! My son looked adorable in this hat!!! He also likes to laugh at it in the mirror when we put it on to play. We bought it for his 6 month photos, and they turned out adorable!! Highly recommend!! !